Indishell (Indian Hacking Group) Got Hacked By N3t.Crack3R using XSS attack (Pakistani Hacker) ! 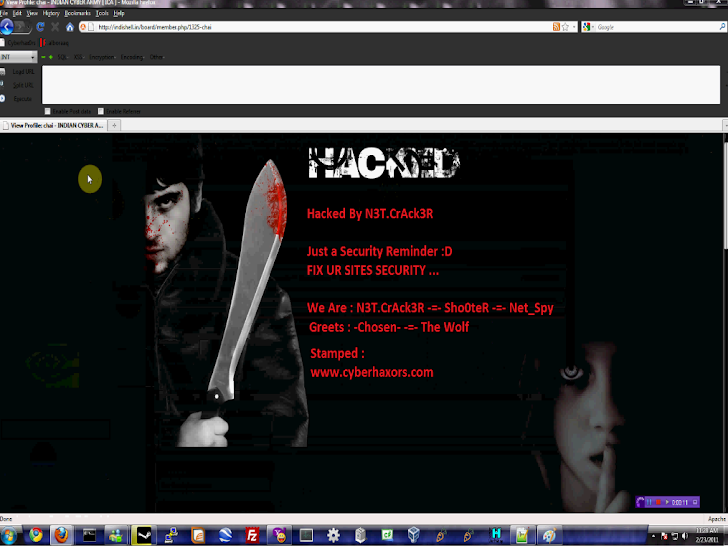 Indishell (Indian Hacking Group) Got Hacked By N3t.Crack3R (Pakistani Hacker) ! Indishell's Official website Hacked By XSS attack, their forum member 'Chai' (N3t.Crack3R). This Hack can be seen within restricted login area so there is no 'zone-h' Mirror, But 'N3t.Crack3R' make a video of this hack.